As you arise on your wedding day our staff is preparing your limousine in anticipation of the important role Regal Limousine Service will play on your special day. Mission Viejo Limousine has added a department specifically designed to cater exclusively to the Orange County corporate limousine clients. Not only do we provide point-to-point services for you to address your presence at conferences, but also cover all major LA airports and Orange County Airports with an extensive fleet of sedans and stretch limousines at low flat rates 24 hours a day. 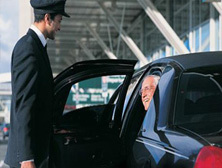 As a corporate entity we understand how important time is to our corporate clients and hence extend our executive limo services to ensure that you reach the venue on time, in style and safe. 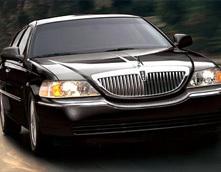 Choose from a wide variety of , Orange County Limousines, Luxury sedans, economy hybrid car service & transportation van service for all of your corporate and business events whether it's a black stretch limo or a car service.. New luxury vehicles such as Mercedes, Bentley, Executive L, Hummer and Cadillac are available now. Mission Viejo Limousine is a premier Orange County wedding limousine service provider for your wedding, bachelor & bachelorette party. We offer the best, most complete wedding limos in LA and well prepared cordination for your special day. We help you make your wedding day a memorable one by providing brand new fleet of stretch Wedding Limos, red carpet service, professional, well dressed limo chauffeurs and the best wedding limousine rates in Orange County makes planning your wedding easy. Mission Viejo Limousine LA has been providing professional Wedding Limo services in Orange County since 1994, awarded for service and value by Bride's Choice & Wedding Wire year after year. We offer Orange County limousine service such as Red Carpet, Champagne, Dove Release, airport car service, guests shuttle and party bus services and we'll work with the photographers for the perfect set-up. 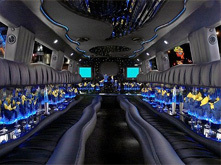 Choose from a variety of stretch limousines, party buses and stretch hummer h2 or Escalade limos. Whether you need a party limo for prom, a wedding party bus or an LA night on the town limo bus, when it comes to parties nothing beats our custom party buse limo services in Orange County, our professionally trained party bus drivers go the extra mile to help you arrive at your destination in style and safe. We offer party bus rental deals from 14 to 50 passengers at rates that are hard to beat, Mission Viejo Limousine LA offers a party bus service that goes above and beyond any of our competition along with Orange County limousine packages that include a variety of limo models and luxury amenities for any occasion at the lowest price any where in southern California. In addition to to special occasion services and Wedding party bus services we also provide party limo buses for those events that include milestone birthdays, bar mitzvahs and bat mitzvahs, quinceanera, bachelor party, bachelorette party, tailgating, baptisms and many more events. Call us today for great LA party bus special package deals for any occasion, our customer service personal will be happy to help plan the perfect event. Choose from a variety of 12, 18, 22, 34, 40 or 50 passengers party buses and party limo coaches in LA.